Paseo Verde Library. Image courtesy of the Henderson District Libraries. Henderson’s Paseo Verde Library turned 10 years oldlast week. In a city barely more than 50, this is significant. In a community where most residents only moved here sometime in the mid- to late-90s, it’s a touchstone of civic progress in what now feels like a long-gone era of massive construction projects that once flourished throughout the valley. 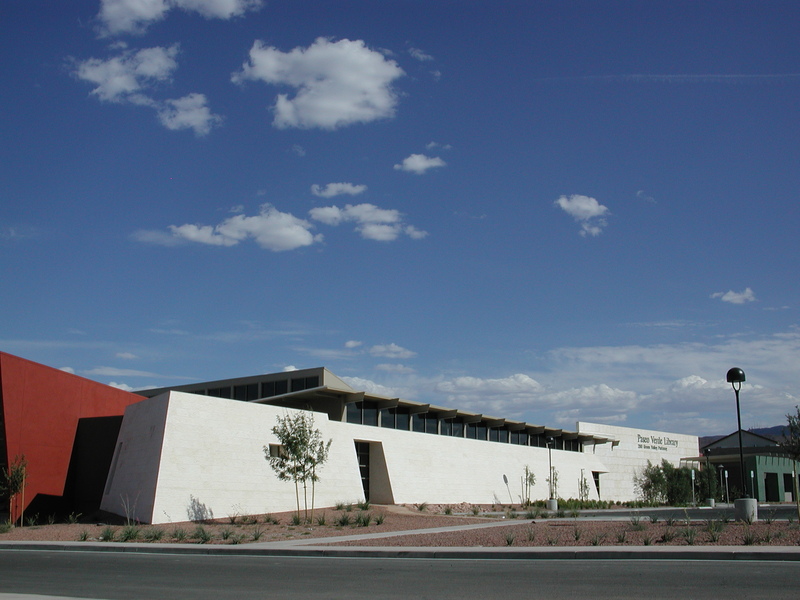 The Paseo Verde Library anchors a beautiful civic complex, including the Henderson Pavilion, Multi-gen Recreation Center, and a police substation. The complex itself is a testament to the forward-thinking, community-minded strategies that guided city planners. And I should know. Because while all these sites — and the entire Green Valley Ranch District — were being inked on blueprints and kicking up dust in construction, I was covering it as a beat reporter. I was at the long city council meetings when neighbors, developers, and politicians pounded out details. I toured Green Valley Ranch Casino when it was just a hollow shell. Likewise, I watched the entire Henderson civic complex rise from nothing. For years I was a fly on the wall, sending out dispatches of progress back when Henderson was known as the fastest-growing city in the nation. When I moved to Southern Nevada in the summer of 1999, I drove to where the 215 beltway ended, somewhere around Paseo Verde or Green Valley parkways. I had an interview at a church on Pecos Road near the burgeoning freeway. You couldn’t even drive south on Pecos from there because it was all dirt, construction. No road. I remember checking out an apartment at just about the place where it looked like Eastern Road ended — near the intersection of Horizon Ridge Parkway. My, how the city and times have changed. In a lot of places, 13 years might not be long enough to have so many landmarks of progress and change. Even as I write this, half my neighborhood did not exist. No Mountains Edge. No Southern Highlands. And Seven Hills and Anthem were just young pups. Whole neighborhoods, roads, long stretches of freeways, hospitals, schools, and yes, libraries have been built in the time I’ve lived in Southern Nevada. And I had a front-row seat on the action as Henderson became the modern city it is now. Funds for HDPL are generated through tax levies but the district receives no money from the city or county coffers. Henderson was the first local municipality to have its own library district, but now faces having the lowest number of library square feet and lowest number of books per person in the state. Paseo Verde, the first library to open in Henderson since 1989 and one of the largest in the state, has the capacity to hold 250,000 books but is opening with only 80,000 on its shelves. Still, the library has managed to create a thriving community space on a shoestring budget. The Henderson Libraries receive the lowest rate per person in the valley, compared with the other library districts. With it’s 4,000-square-foot children’s space, cocooned by a 1,000-tile glass wall, which includes time-capsule blocks made by children of nearby Henderson schools, this library has been a welcome oasis for families and children of all ages. Indeed, a healthy library may be one of the best litmus tests for the health and quality of a community. Either you believe libraries make communities better or you don’t,” Fay said. “Most rational people realize this is a nonpartisan issue. What does it say about our community that we are willing to let something as vital as a public library die? What does it say about ourselves? Considering that Nevada just ranked 50th in the nation in education, a library seems a thing too valuable to lose. And yet, that is what we are facing as the Henderson Library District turn to closing branches on Mondays. If a new 2-cent tax increase (amounting to a $14 increase on a house valued at $200,000) does not pass this fall, it will be entire branches closing permanently. Doesn’t that seem like a bargain to get everything that a library offers? Books. Movies and music. E-books…. Why not find out for yourself? According to the American Library Association, the average American checks out seven books a year. Don’t have a library card? September is New Library Card month! Sign up! Discover for yourself everything the library holds. 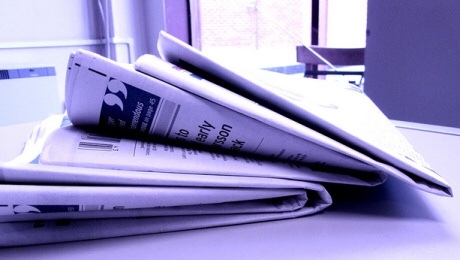 Find out more about the library tax initiative at the Rescue My Library website. ← The Sin City Siren 2.0?